Hamdeen Sabahy, is one of two presidential candidates running in the upcoming presidential elections. Nasserist politician and presidential hopeful Hamdeen Sabahy has gained the support of another political group, as the Revolutionary Socialists announced their support for his bid Sunday. In a statement titled “Against [Abdel Fattah] Al-Sisi… leader of the counterrevolution” the group strongly criticised the former Minister of Defence, adding that it would lend its support to Sabahy despite some differences it had with him, especially after 30 June. The Revolutionary Socialists highlighted Sabahy’s “silence of the violations of freedoms by the Ministry of Interior and military”, along with security-led crackdowns on protesters and the “war on terrorism”, which was being used “as a pretext to return of the police state”. The revolutionary groups said that “every vote deducted from Al-Sisi would have value, if not today then tomorrow, to build a real broad opposition day by day”. 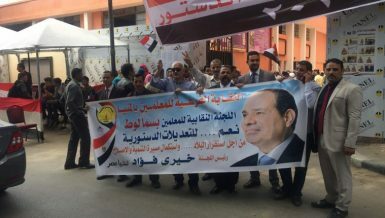 “The next presidential election reflects the dilemma of the Egyptian revolution that led to the absence of a candidate that completely adopts the demands and goals of the revolution and on this basis,” said the statement, which also called on voters to pressure Sabahy to adopt certain foundations for his campaign. 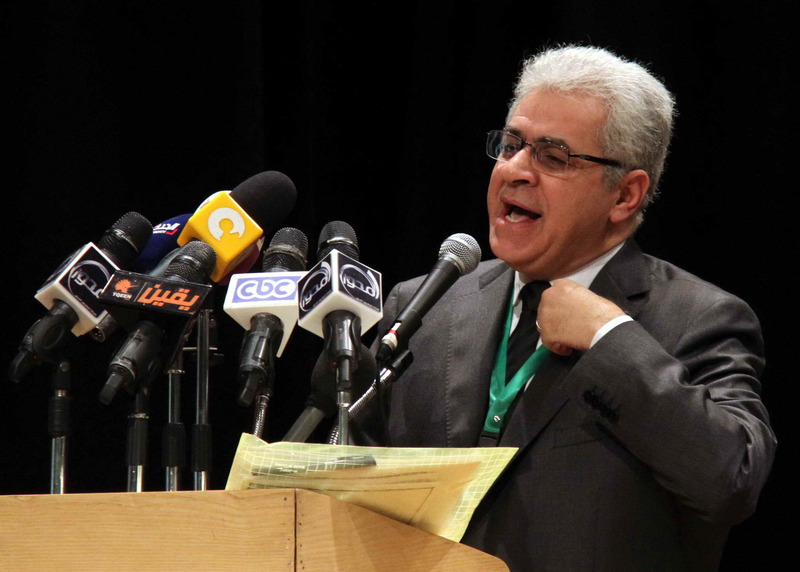 The group called on Hamdeen to adopt principles of transitional justice, release political prisoners and repeal “restrictive laws”, including the controversial Protest Law, and military trials of civilians. 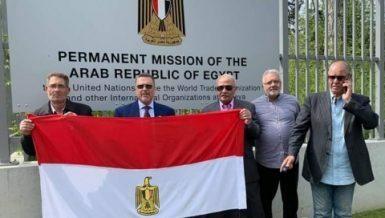 The statement added that the group respected those who decided to boycott upcoming presidential elections to “destroy the idol that that was built by the state belonging to Mubarak”. 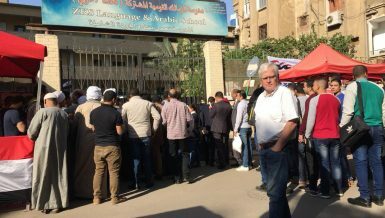 The Egyptian Social Democratic Party (ESDP) on Saturday announced that it would not support a candidate in the upcoming elections, saying that it would give its members the freedom to choose whomever to vote for on an individual basis. The party’s announcement came after its High Committee voted on whether or not to officially support a candidate. Al-Sisi received 46.2% of the body’s vote; 9.5% voted for Sabahy, while 44.4% voted in favour of not officially supporting any candidate. The ESDP pointed out that any candidate would have required two thirds of the High Committee’s vote to gain official party endorsement. The ESDP said it would work with the next president on the basis of creating a civil state, achieving democracy and equality, full compliance to the constitution, commitment to the electoral process, economic cooperation between various institutions, and the “eradication of terrorism”. The party said that individual members could lobby for candidates but that they would not be permitted to use the party headquarters or any of its political or publicity tools. The Anti-Coup Alliance, which has called for continuous protests in support of ousted president Mohamed Morsi, announced that it did not recognise the legitimacy of the presidential elections. “The position of the president of the republic is not vacant,” said the group, which also did not participate in January’s constitutional referendum. “The President of Egypt until now is Dr Mohamed Morsi, who came by free popular will and fair constitutional procedures supervised and announced by state institutions,” the group, which is backed by the Muslim Brotherhood and other groups that recognise Morsi as the legitimate president, said on Sunday. The alliance announced its continued boycott of electoral procedures following Morsi’s ouster, calling them “illegal”. The Anti-Coup Alliance also pointed to the ongoing crackdown on Morsi supporters as a climate “not fit for any democratic procedures”. 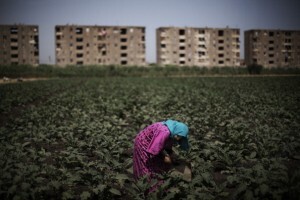 The group accused Al-Sisi of “allying with the Zionist enemy” and extending the rule of the Mubarak regime. Sabahy appeared in a television interview on the privately-owned ONTV satellite channel on Saturday evening, calling for transitional justice for all victims of violence from 25 January 2011 until now. He also strongly criticised the Protest Law, calling it “one of the worst mistakes made by the current authorities,” adding that this aspect “resembled the rule of the Muslim Brotherhood”. 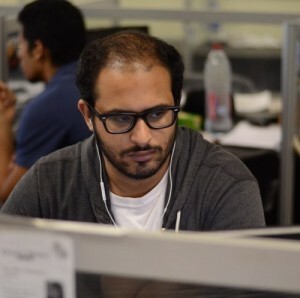 He pointed to the arrest and sentencing of “real revolutionary” activists Ahmed Maher, Mohamed Adel and Ahmed Douma under jurisdiction of the law as an injustice. “The solution to eliminate terrorism is a fight against violence, an environment that fosters terrorism and against poverty, ignorance, and [implementation] of economic measures that fight poverty,” he said. Sabahy also discussed the violent dispersal of the pro-Morsi sit-in at Rabaa Al-Adaweya where hundreds died last summer, saying that not all who were killed at the demonstration by security forces were “terrorists”. However, he placed the primary blame of the bloodshed on “Muslim Brotherhood leadership”. He highlighted the need to “change the doctrine” of the Ministry of the Interior from one that “protects the regime” to one that “protects citizens”. Lawyer Mohamed Bahaa Abu Shuqa, legal adviser to Al-Sisi’s campaign, also made a television appearance on Saturday on Al-Youm satellite channel. Abu Shuqa said Al-Sisi’s campaign would officially launch on 2 May. Al-Sisi, who is heavily favoured to win the upcoming poll, retired from the armed forces while announcing his presidential bid. “Field Marshal Al-Sisi is a politician with a military background, is a specialist in military science and holds a master’s degree and doctorate in political science,” the adviser said in response to his candidate’s relationship with the military establishment. Abu Shuqqa said that a debate between Al-Sisi and Sabahy “would not be unacceptable”, but did not commit to an exchange between the two candidates. He said Al-Sisi’s electoral symbol, used to guide illiterate voters, would be a star, while Sabahy had requested that an eagle be added to the list of options for symbols. On Saturday, the Social Popular Alliance announced its support for Sabahy in a press conference. Liberal Al-Dostour Party also previously announced its support for him. Al-Sisi has won the support of many prominent politicians and figures. 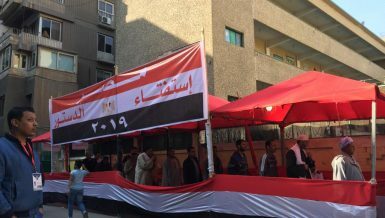 Al-Wafd Party officially announced it would support the former military chief and used its party offices around the country to help his campaign collect the required signatures of endorsement. The Supreme Electoral Commission is scheduled to announce the final list of candidates next week on 2 May after reviewing the signatures presented by the presidential hopefuls. Al-Sisi and Sabahy were the only two candidates to submit the 25,000 signature minimum to the SEC before the deadline of 20 April.